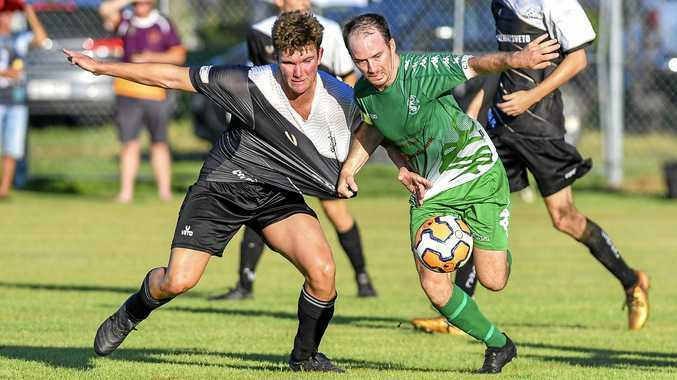 SOCCER: Central and Clinton both rued critical errors after a 1-1 draw in round three of the Football Central Queensland Premier League. Clinton's coach Brad O'Sullivan said it was a stop-start match, but Sam Roberts broke the shackles with the game's first goal in the second half. "He was tireless up front and it looked like we could go on with it," O'Sullivan said. "Like last week though, we had a lapse at the back and gifted them a goal against the run of play." The leveller was scored by Central's Ryan Smith. "In the first half we struggled to find our rhythm and the game always seemed to be stopped," O'Sullivan said. "I couldn't imagine how many fouls were missed and that's for both teams. The officials struggled to find their rhythm in my opinion." The coach said his players knew what they did wrong and believed Clinton dominated play in the second half, except for the Smith goal. Clinton's Anthony Cobb was player of the match in midfield while Chris Hill was important in his return match. Young Central goal-keeper Jaleel Donald had a half glass full approach post match. The 19-year-old, who began his journey in the top-tier CQ competition last season, has relished the opportunity to be a key pillar in defence. "I love it so far and it's pretty full on actually," Donald said. "There's a lot more dangerous players to look out for." Donald said both teams matched up well and it was just a matter of which side could make most of their chances. "The small field didn't really help and bothy goals were scored by the opposing team's errors," he said. "The ball was in Central and Clinton's forward half for a few minutes in each half and both teams played really well." Donald said midfielder Dave Upton stood up. "He held his ground in the middle of the pitch and helped to hold our structures as well," he said. Central have an away game under lights against Nerimbera this Saturday at 7pm. Clinton will host Cap Coast in a grand final re-match on the main pitch also at 7pm on Saturday.